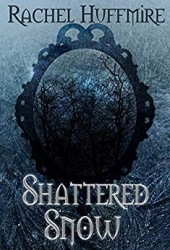 "Shattered Snow" is a YA science-fiction retelling of Snow White, featuring time travel. It is based on the real-life history of Margaretha von Waldeck, a sixteenth-century countess that may have inspired the Grimm brothers’ fairy tale. Salt Lake City, UT, January 16, 2019 --(PR.com)-- Even after hundreds of years of telling and retelling our favorite fairy tales, they continue to capture the public imagination. Snow White, in particular, has been made into countless animated and live-action films, picture books, novelizations, and even a popular television series. Surely it has been dissected and retold from so many angles that no one can bring anything new to the story. “After I had the idea for 'Shattered Snow,'” Ms. Huffmire continues, “I felt excited to see how many folktales are rooted in real-life stores.” Her next project? A similar retelling of Sleeping Beauty. In 2069, time-travel is restricted to observation and research. But Keltson Grammar doesn’t mind breaking a few laws. Known only as "The Mirror," Keltson runs an underground empire that rescues unfortunate souls throughout history. However, a single misstep could send an entire agency to reinstate his clients to their original dismal fates. Lilia Vaschenko is a Russian mechanic surrounded by cinderblock towers, ladders she cannot climb, and a glass ceiling that holds her down like a casket. She'll do anything to escape - even work for the world's most wanted renegade. Rachel Huffmire grew up in the middle of a Utah wheat field where she found plenty of time to read and dream. After dabbling with writing novels and stage plays, she ran to the BYU bookstore for her first job. Behind the register, she watched local authors hold book signings and began dreaming up plots of her own. She currently lives in Southern California where she enjoys sand at its finest: the beach and the desert.